Running back for the San Francisco 49ers, Frank Gore is pictured here chilling with his Maserati Quattroporte. Giving the car a little flavor, California Wheels threw on some 22″ burgundy/chrome Asanti AF138s to match the body color – tastefully done, too. 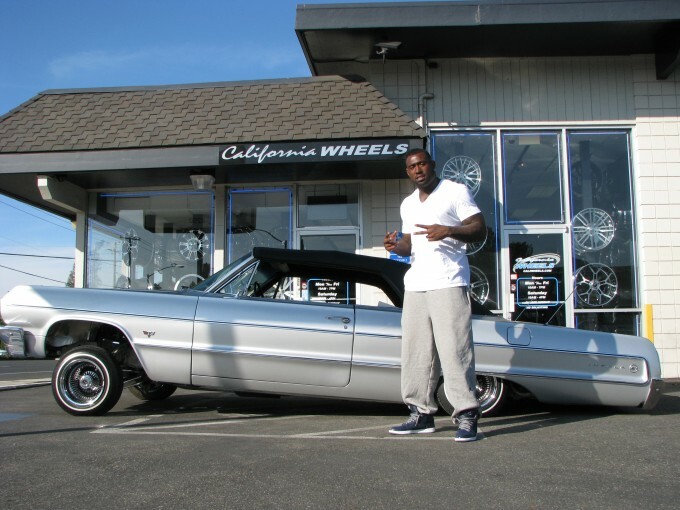 It seems the 49ers players have vision and style when it comes to their rides as here we see Glenn Dorsey with his custom Rolls Royce Phantom. 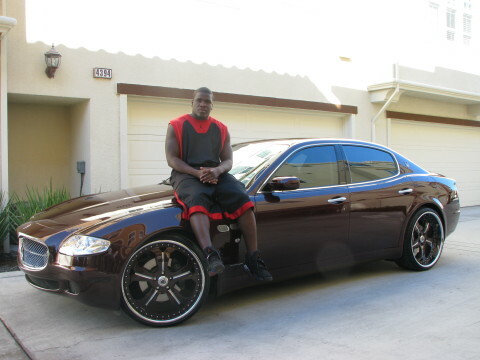 For an NFL player dabbling with customising such a regal car, I think the tints and rims go really well. I personally detest this crazy Donk fad but thought I’d include one as NFL players seems to like them. Darren McFadden, AKA DMC or D-Mac, is a running back for the Oakland Raiders. 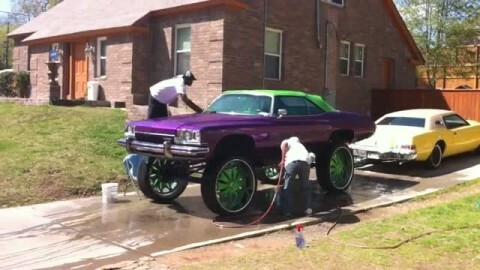 I guess the bonus of donks is being able to get to those hard to reach areas when washing your car. 49ers offensive lineman, Chilo Rachel probably chose this whip to allow for his substantial 6’5”, 323 lb frame. Nice to see some rims that match the vehicle well. 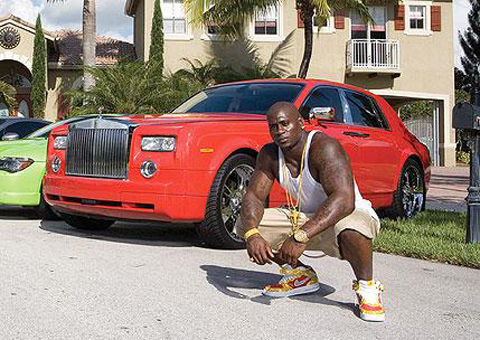 Former NFL running back for teams like The Jets, The Bears and The Chiefs, Thomas Jones sure knows how to strike a meaningful pose, and if any car is worth posing in front of is a fire engine red Rolls Royce Phantom. I had to include this ride as I want it… badly. Tight end for the Tennessee Titans, Delaine Walker definately knows what to do with a classic – forget the Donks and slam it into a Lowrider. 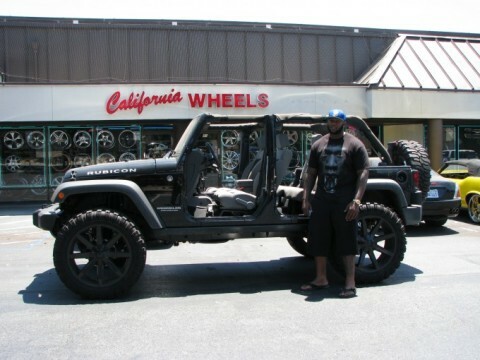 Anthony Davis plays defensive tackle for the San Francisco 49s and clearly knows how to make a jeep look cool. The 23-year-old is a behemoth of a man, so it’s probably best to remove the doors to allow for any overhang. 49ers linebacker, NaVorro Bowman has his Porsche properly blacked out… in a good way. Simple window and rear light tints and spoked alloys with the yellow callipers on show is the way to correctly pimp out a Panamera. 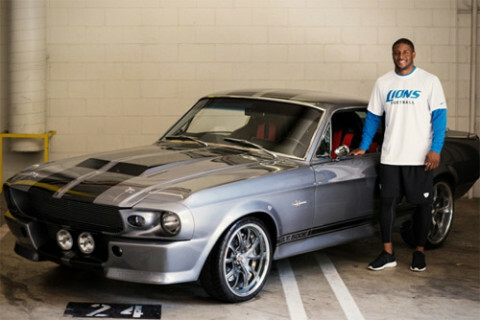 It’s a well known fact Detroit Lions running back Reggie Bush has a passion for buying cars. The cream of the crop so far in this list is this 1967 Shelby Mustang GT 500 – think Eleanor from Gone In Sixty Seconds. Not a lot to say apart from: Superb. LaRon Landry plays safety for the Indianapolis Colts and is a player who also buys a lot of cars. He owns a Kawasaki green Lamborghini Murcielago but I think this matte white Aventador with black rims earns the right to grace this page. 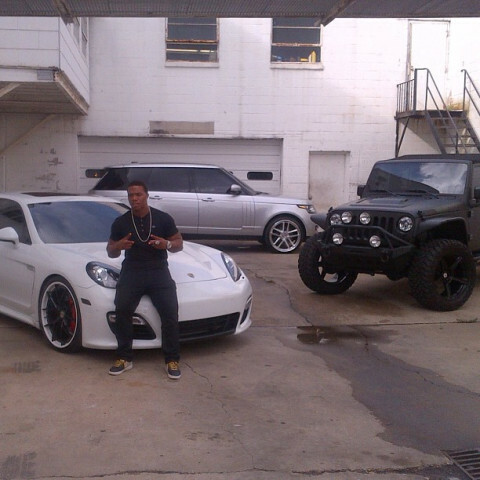 Ray Rice has been taken his cars to Baltimore’s NO LIMIT INCORPORATED for a number of years so it’s no surprise we got a sneak peak of a recent DUB photoshoot with Rice and his Porsche Panamera, all new 2014 Range Rover, and his Jeep Wrangler. 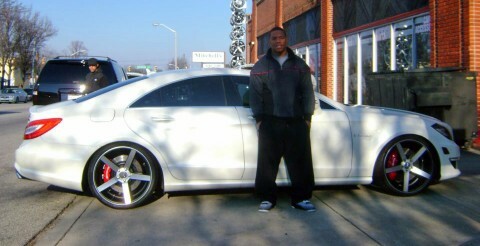 This is Ray Rice of the Baltimore Ravens with his new CLS. The car was customized by No Limit in Baltimore, MD. They went with a set of 22″ staggered Vossen Wheels . I think these wheels were a great choice because they are sporty and concave and that really matches the CLS. The only thing I would have changed was possibly going all black or all white – the brushed and black two tone finish on the wheels doesnt really match the white CLS too much. 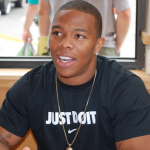 Ray Rice was a star running back for Rutgers and this season he is becoming a star running back for the Baltimore Ravens. This little man can really run the ball and avoid defenders. 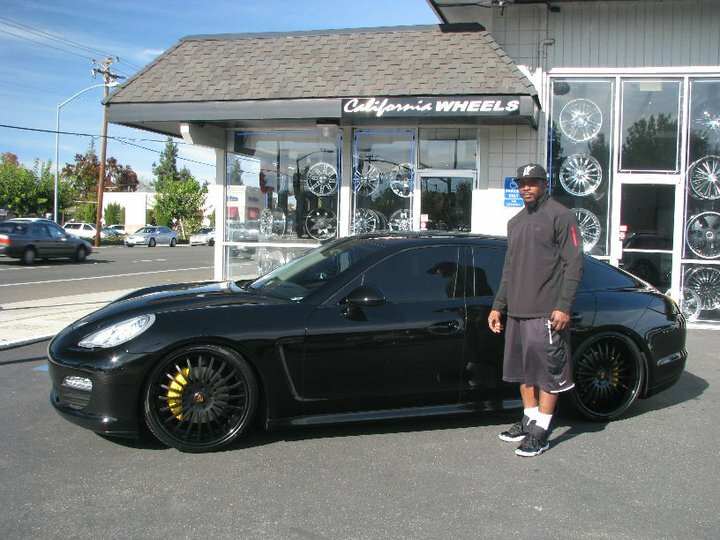 Here he is with his black 2008 Range Rover Sport Supercharged. He had his car customized at No Limit Inc in Baltimore where all the Ravens seem to go. 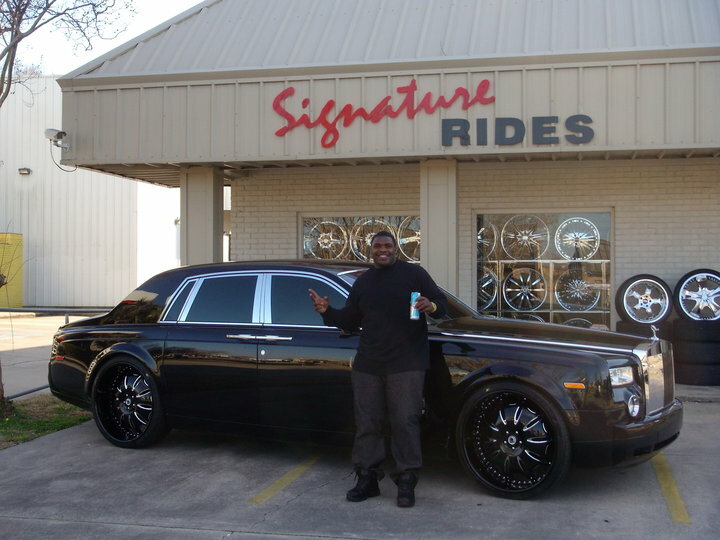 They hooked him up with a set of black and chrome 24″ Asantis. The car also has the chrome Asanti grille kit. 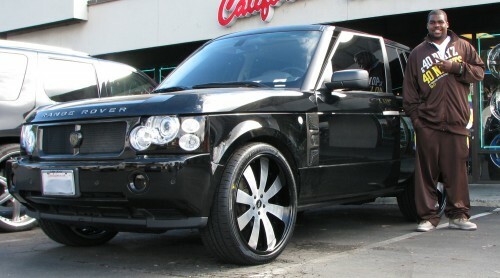 I dont think this 5 spoke wheel design by Asanti looks good on a Range Rover at all. There are too many chrome and black lines on the center. 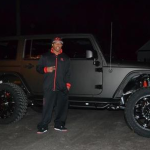 The battle of 24″ Asantis on black Range Rovers goes to Michael Phelps.